You know that mobile access to your website is essential. You know that many people today—Millennials in particular—prefer to do their shopping and research on their mobile device. Yet you haven’t done anything about it. I’m also talking about optimizing it for conversion on mobile devices. If you know that opening up easy mobile access to your website is crucial, why haven’t you taken any action to make sure it effectively converts users into leads yet? Maybe it’s because until now, it’s only been a vague idea—something in the “other” that you never really cared to address. I mean after all, isn’t it looking decent on a smartphone or tablet enough? Actually, it’s not, and today, we’re going to change that. What is the mobile tipping point? Simple: it’s the point at which the amount of mobile Internet users outnumber traditional desktop users. Want to hear something interesting? We haven’t just passed this point already. The point was passed several years ago. Today’s internet isn’t mostly desktop. It’s mostly mobile. If someone is viewing your website right now, there’s a good chance they’re doing it on a tablet or a smartphone. If your site isn’t optimized for mobile, then it’s simple: it’s not optimized and you’re losing clients. Look at this chart of mobile usage throughout the day. When newly-married couples are looking for a home or mortgage information, do you think they do it at work? Or do they wait until night when they can talk about it together? If someone is buying insurance, are they doing it during work hours? As the chart shows, most people surf the Internet on mobile when they’re not at work: in particular, the early morning hours and the early evening going into night. When people are researching and making critical choices about buying a home and all the things that come with it, you want to have a website that can capture their attention. Without a mobile-optimized website, you won’t have it. Your mobile website isn’t going to be very efficient if it doesn’t turn visitors into potential leads. But as smart insights notes, many people are willing to make decisions on their mobile devices. In fact, the highest add-to-cart rates come on tablets. There’s one conclusion: If you don’t think your visitors are going to make a decision with your mobile website, think again. While it’s tempting to see mobile as the “light” version of surfing the net, the truth is that for many people, it’s the only way they surf. And that means they’re making decisions—including purchasing decisions—right there on their smartphones and tablets. Obviously, the “add-to-cart” idea is more relevant for retailers. But as someone in the mortgage, real estate, or insurance industry, paying attention to conversions like that will only serve you better. 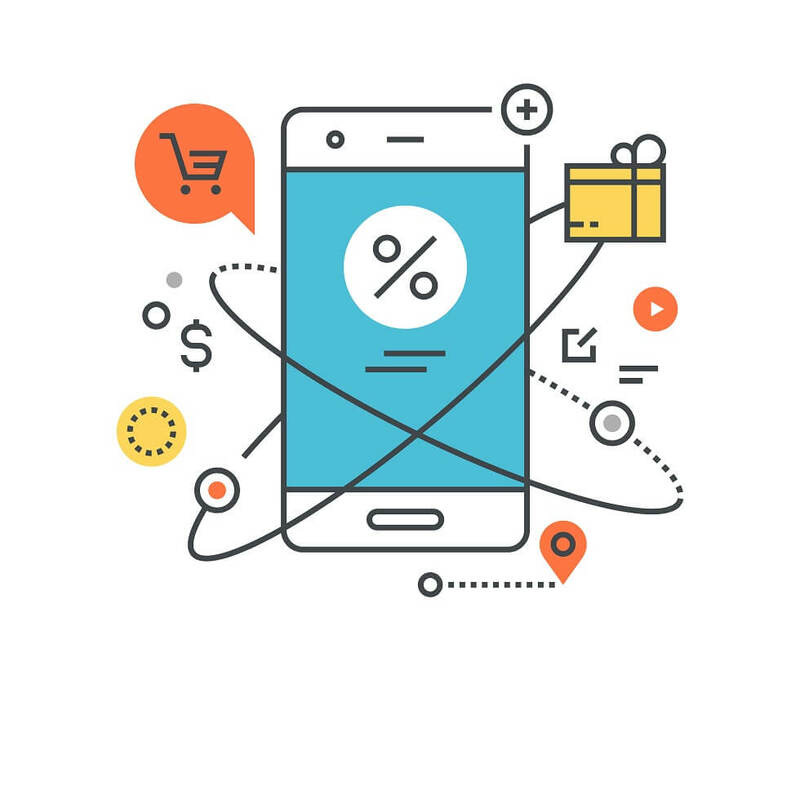 The goal is conversions and mobile delivers. Specifically marketing to mobile users isn’t just a nice thing to do. For many companies today, it’s part of effective marketing. As SalesForce notes, a majority of companies are now making mobile marketing a big part of their strategy. To add on top of that, Salesforce also reports that some 58% of companies have a dedicated team working just on mobile marketing. If big companies are putting that much effort into mobile marketing, it should be on your shortlist too. This isn’t to say that you should do something simply because other companies are doing it. But it does indicate just how popular mobile surfing is—and how much mobile marketing has grown as a result. And you don’t have to have a dedicated marketing team just to enhance your mobile web presence. Sometimes, it’s simply a matter of paying attention to the mobile side of things. Take a few minutes right now and access your website on a smartphone and/or tablet. Is it easy for potential clients to call in using “tap-to-call” for the phone number? How about your calls-to-action—are they easily seen and coupled with mobile-optimized lead generation forms? What can be updated? What needs to change? These simple questions might not constitute a full marketing strategy, but they also bring an end to one of your most important blind spots. If you do email marketing, you’ll want to pay attention to this one in particular. Keeping an email-based lead magnet and/or newsletter signup on your site is a great way to turn traffic into potential leads. Utilizing these tools will help you capture customer information and make more use of your web traffic by growing your list. What does this have to do with mobile? 79% of people use their smartphone to check email. Believe it or not, even fewer people reported using it to make phone calls. When you send out an email to your newsletter list, chances are good you’re sending it out to someone browsing on mobile. That means any links you might point back to your site inside those emails? More mobile users. Your website is there partly to reflect well on your business and services. The better the website, the better new users will think of your company. But that isn’t just for desktop surfing. CMS report found that 57% of users say they wouldn’t recommend a business with a bad mobile site. That means mobile marketing isn’t just about having people access your site on their device. If you don’t think there’s enough interest in your mobile website, then consider just how much mobile web surfers actually spend time surfing. The average is over 4 hours per day. If your mobile site can capture just a portion of that time from more users, it will be a boon to your business. You might not need much of that time. When done right, you just need a minute or two of a user’s time to show them your landing page and convert them into a lead. That means capturing emails, linking them to videos, having them fill out forms—whatever it is that will help them and your business. But none of this will ever come together if you don’t first decide that you have to capture more mobile users. If it sounds complicated, it’s not. But that leads to one question: how can you achieve a better mobile presence? You might talk to a web designer or your webmaster. You might think about outsourcing the work. But before you do all of that, consider a free trial of leadPops. You’ll open up your business in new and exciting ways, designed to capture the whole web—not just the portion of users browsing on desktop. If you want to enhance your marketing, don’t just think volume—think breadth. Expanding your marketing outwards will help you cast a wider net to find potential leads for your mortgage, real estate, or insurance business. Ultimately, that won’t just help you identify key customers. It will make you a better marketer. And in the long run, that will pay dividends—on desktop and on mobile.